Holy ratch a fratch, JO, hardly room for a pull over for traffic. Guess it pays to be nice to your neighbors! You first, sir. Oh, no, you first. Oh, that’s ok, you go. On and on no one goes What’s the temp measurement of at the end. JO, I kept looking pass your headlights trying to see so I could help you drive down all the narrow twisted roads. Beautiful night for a drive. Thanks for the ride. 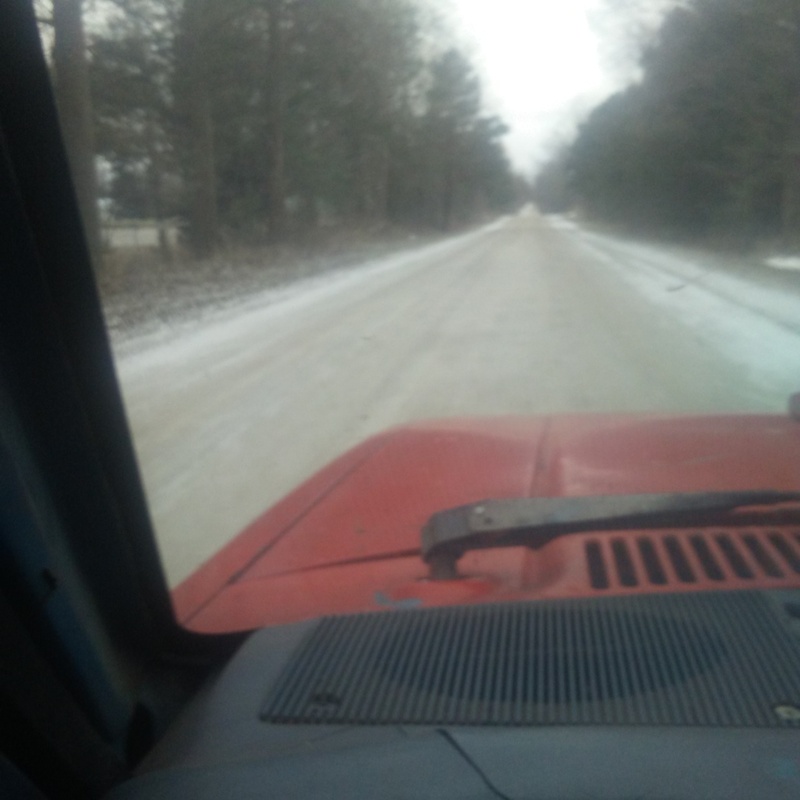 Look like you have a little more snow than me so far, it might be that I use a snow blower and that way the edges of the road dont build up so much. My hat is off to you sir . The video is simply amazing !! What’s the temp measurement of at the end. Pepe, it´s the current out of cyclone temp. it might be that I use a snow blower and that way the edges of the road dont build up so much. I agree. We only have about two feet. Looks more around the roads. Who and how do they clean the roads. It looked like maybe one pass with a “V” blade. Sloppy driver. He´s got the best machine there is with a snake blade he can partially angle any directions. But of course we had another 4 inches since he last was here. Wayne, that´s funny. Btw, I even found my way to your place the other day (on google maps satellite). I saw you were out chunking. Looked nice and warm. Thanks for the ride in the snow rabit, hope your flu pass,s fast, were haveing epidemic in some states here in the us, hospitals turning people away due too full of flu patiants.And i heard they put tents out doors for more beds. That pond is giveing me spring fever, i may have take it out on a wood burner drive. Hope your staying warm and clean, full of vitemen C too fight flu or colds, The hospitals are filling up with flu people FL.AL.CA. WERE getting a early flu bug.season. Got my building design ideas from the book at drive on wood .com The name of the book BY wayne Keith & chris saenz IS ( HAVE WOOD WILL TRAVEL.) PS. The book allso has all info about operating, maintainance, and full plans too build it. Hi Wayne K i think it runs better on wood than it does petro. I dont have the power of the dodge dakota but i hauled 2500 pounds of short steel too the salvage yard and got too keep the hole 200 bucks. 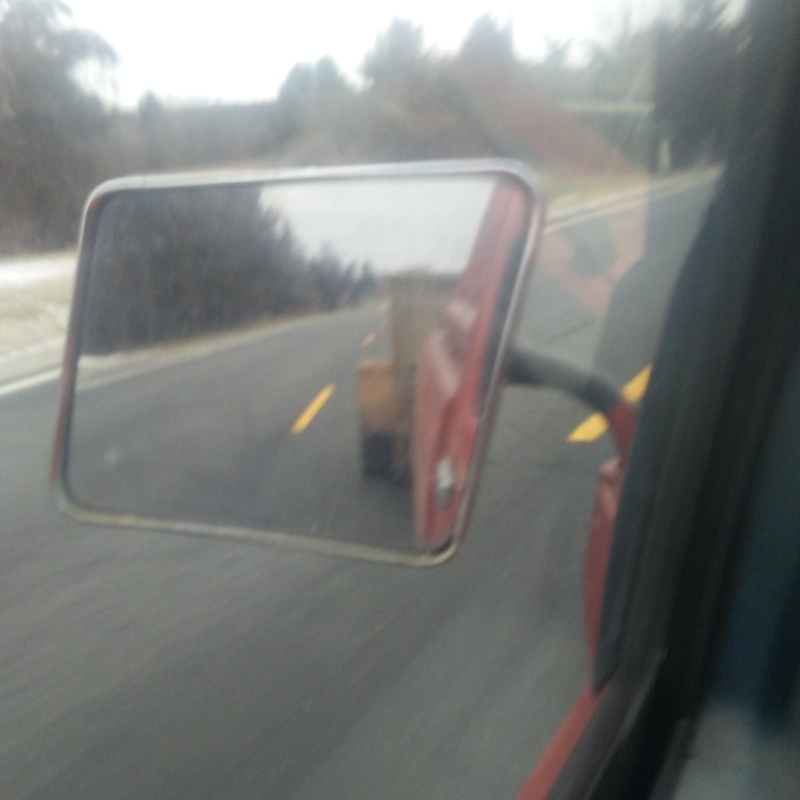 I weighed in at 7500 pounds, a little slow taking off but ok on back roads loaded, speeds about 40 mph.Thanks for the web site and gasifier book plans, YOU ARE A CHAMPION. 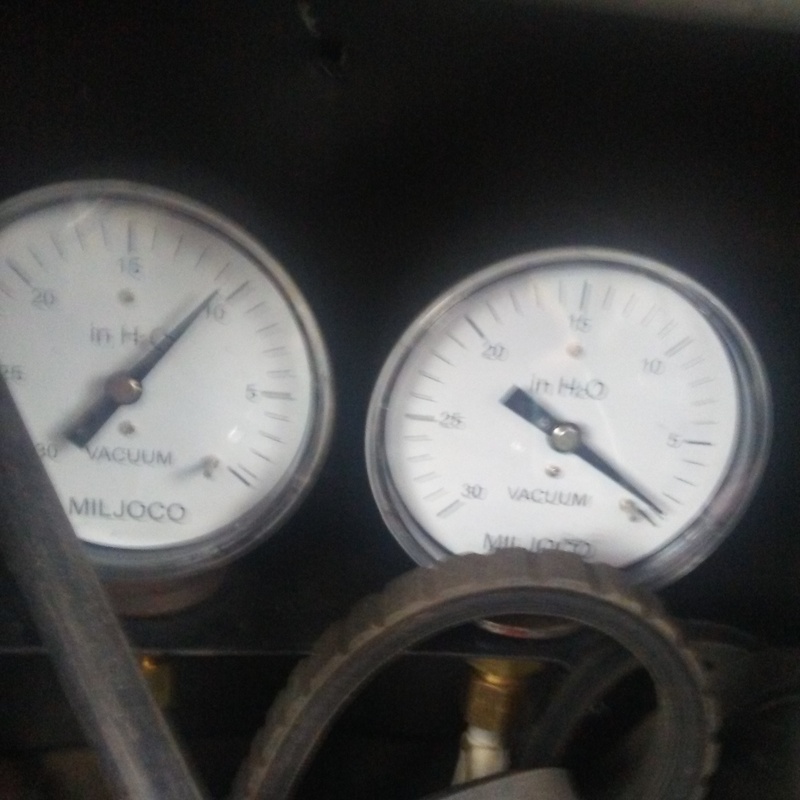 I gave the guy at the scrap yard your DOW site and told him about the the plans, he had never heard of turning wood in intoo motor fuel. I have almost as much fun showing others my gasifier as driving with it. I have had folks follow me into a parking lot to ask “what is it?”. This guy was operating the big magnet boom, he may have seen the heat rolling of the top of my gasifier houseing, i need too insulate around my cyclones and hopper jacket too ease up on the heat rise efect.or seen me fill up with another three 5 gallon buckets of soft wood for the way home, i still had about 3 pails of wood left in it due too i used some hard wood i sawed out of some skids. Follow in too a parking lot, now who would do that not me, waint i did follow a guy in a parking lot, long long time ago while i was in my early 20’s, his rig was leaving a big trail of smoke behind his truck, then when he pulled into the back restorant park lot, he said it runs on wood and he had got some wet wood and was leaving it running till he got back out too leave. Probly because he knew he was makeing tar and just wanted too keep it from setting up while keeping it running till he got back home. Starting up the wood burner this morning. At the first part of the video I say poking a hole through the ash. Mr Wayne, it’s hard to tell from the video, but it seems your funnel looks a bit different. I noticed a few months back, what I think was a few funnel fingers suffering from heat damage and partially missing. Looking down the hopper now it doesn’t look like what we are used to. Did you do some changes to the hopper or did you just run the wood unusually low? The funnel fingers that folded down to the top plate have deteriorated ( almost 32K miles now ) . Carbon crust have formed where they were . 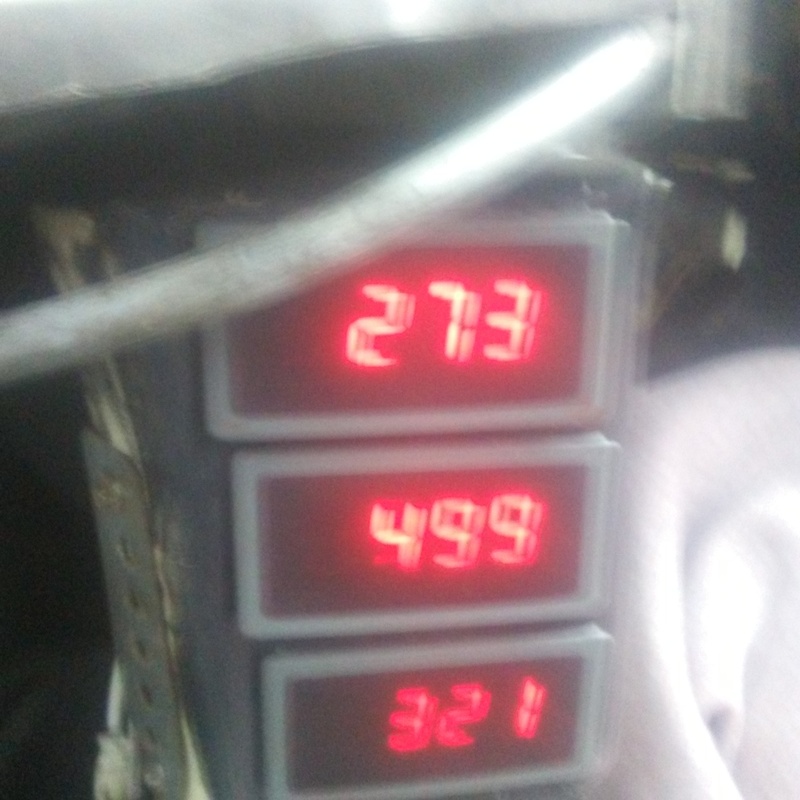 Yes I did run the fuel down low . In cold weather I will burn down low to heat the hopper so the tar will flow well. I have wondered what you do with the charcoal from the ash dump? I usually clean and screen about 9 gallons of good charcoal every 300 Miles. Then add 1/2 gallon back in at every cold start before filling the hopper with fresh wood. I usually dump my char and ash in the garden . Several years back I would save some char to run back in the gasifier but I don’t anymore. 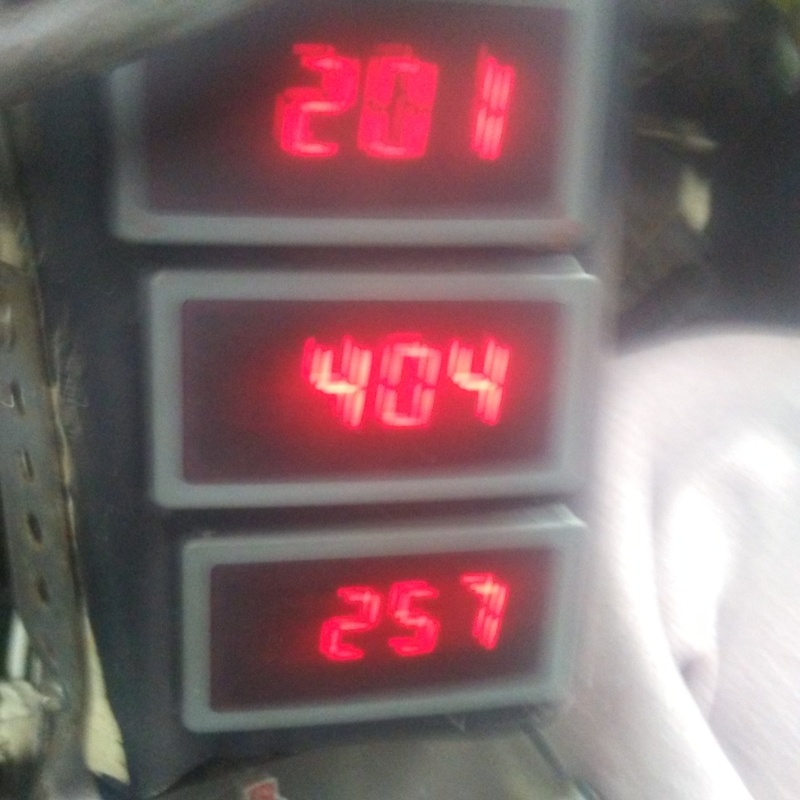 Good evening Wayne Keith That was the fastest cold start up i have seen yet.Thanks for the wood gas drive training vidios.